Illinois Tollway let the I-88 project with two separate contracts—MP 76.1 to 91.4 and MP 91.4 to 113.3. Stone matrix asphalt (SMA) blends are gaining popularity on interstates and high truck-traffic routes across the United States. When using these mixtures, it is critical to incorporate some type of material to keep the asphalt cement (AC) in suspension within the matrix due to the absence of fines in the blend. 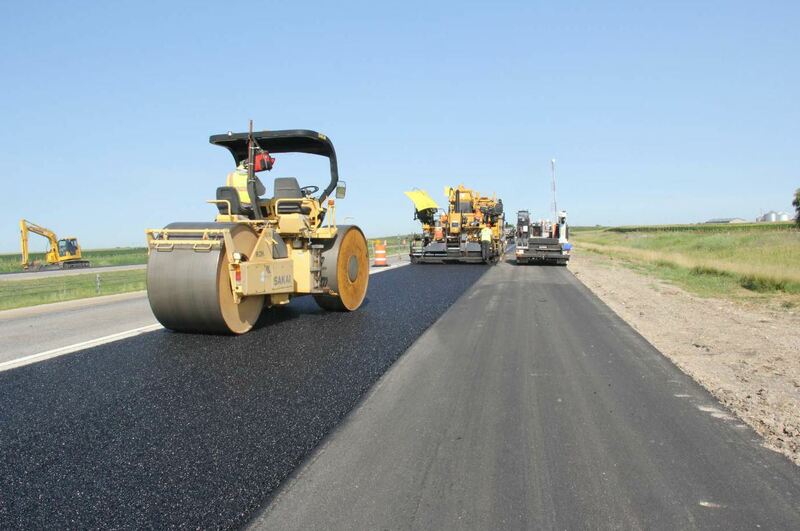 The asphalt industry is becoming more aware of innovative ways to manage the expense and intricacy of some of the materials currently used in these SMA mixtures while also seeing the same, if not improved, performance. SMA is a gap-graded mixture that typically contains very little sand and relies on stone-on-stone contact to carry traffic loads. Voids created by the matrix of the coarse aggregate are filled with a combination of sand, mineral filler and AC. Initially, SMA blends contained cellulose or organic fiber for this purpose. The fiber would be blown into the heated aggregate in the drum before the injection of AC. Today, some contractors are turning to recycled asphalt shingles (RAS) as an alternative to these SMA blends because the fibers contained within the RAS are found to serve the same purpose and the use of blown-in fibers can be eliminated. The bonus of using RAS in place of fibers is that RAS contains a high amount of AC, which offsets virgin AC and saves the contractor and the owner money. Both lanes of I-88 were overlayed. Both inside and outside shoulders were reconstructed. One state that is having success with this technology is Illinois. The Illinois Tollway consists of five major tollways: Tri-State Tollway (I-94/I-294/I-80), Jane Addams Memorial Tollway (I-90), Reagan Memorial Tollway (I-88), Veterans Memorial Tollway (I-355) and Illinois Route 390 Tollway. The Tollway maintains and operates 294 miles of roadways in 12 counties across northern Illinois and carries more than 1.6 million vehicles each day. Hubbard’s Cave in downtown Chicago, the area between the I-90/I-94 junction and the Eisenhower Expressway (I-290), is nearly always congested, with a large amount of slow-moving truck traffic. This makes for a troublesome combination on a conventional hot-mix asphalt (HMA) road. Prior to 2001, the Illinois Department of Transportation (IDOT), a separate agency from the Illinois Tollway, was paving Hubbard’s Cave with conventional dense-graded HMA; the pavement had a five-year life under those conditions. RAS is allowed up to 5 percent total mix. IDOT paved Hubbard’s Cave with SMA in 2001, and then took cores from the roadway in 2015. At that time, IDOT performed the disk-shaped compact tension test (DCT) and the Hamburg wheel test (HWT). The DCT results were over 750 J/m² and the Hamburg rut depths were less than 3 mm at 20,000 wheel passes. This SMA project continues to perform well and IDOT has yet to make any repairs. IDOT’s success on Hubbard’s Cave influenced the Tollway’s openness to begin using SMA more extensively on its road network beginning in 2004. 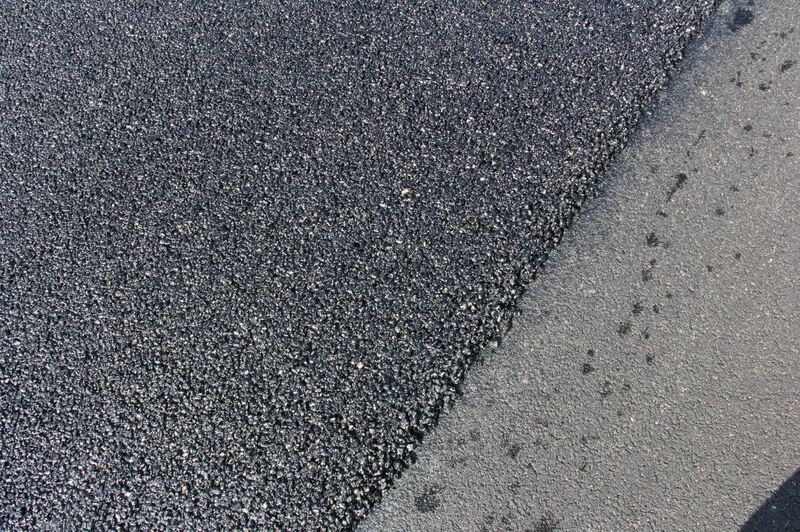 SMA commonly uses polymer-modified asphalt (PMA) at elevated loadings. 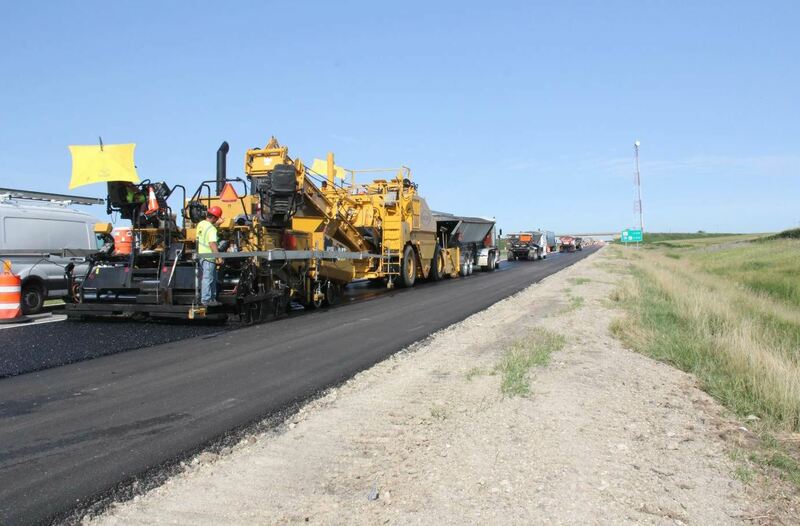 The production and placement temperatures needed to successfully place a conventional SMA project can result in asphalt drain-down and fat spots in the pavement. Fibers, either blown in or from RAS, are used to reduce this problem. Using a warm-mix asphalt (WMA) technology like Ingevity’s Evotherm® can help reduce production and placement temperatures. The reduced temperatures result in a higher binder viscosity, which is less prone to drain-down. Evotherm is also valued for its antistrip properties. In 2012, the Tollway’s leadership mandated that contractors use some type of warm-mix technology in all mixes as the agency was beginning its 15-year, $14 billion capital program called “Move Illinois: The Illinois Tollway Driving the Future.” In 2018, the Tollway further required that all mixes containing recycled content above 20 percent asphalt binder replacement (ABR) include a chemical warm-mix additive. The Tollway was seeing that foamers only foamed the virgin portion of the AC in the mix and none of the recycled AC component. Some of the Tollway mixtures contain 60 percent ABR so only 40 percent of the AC in those mixtures was being foamed. 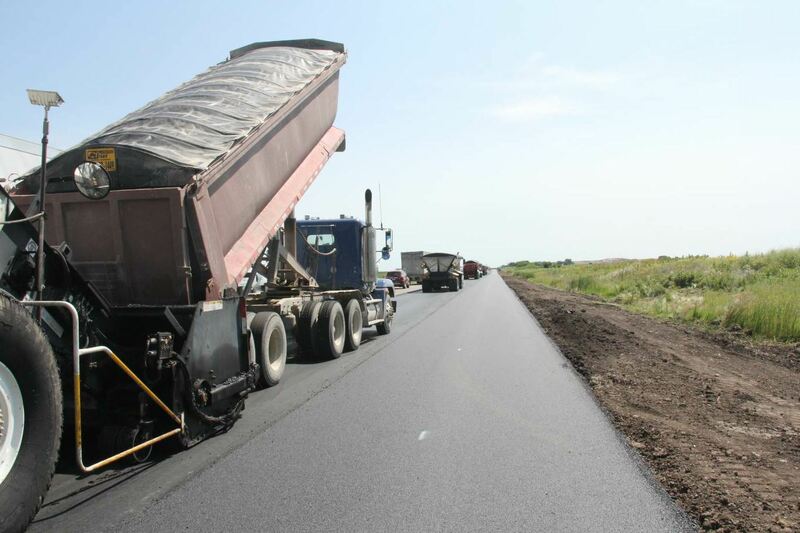 The Tollway has paved well over one million tons of WMA-SMA since 2004, which has included highly recycled mixes with up to 50 percent ABR between fractionated recycled asphalt pavement and RAS. In 2018 alone, another one million tons of SMA surface, SMA binder and traditional dense-graded mixes will have been placed with Evotherm. One of those projects is the I-88, or the Reagan Memorial Tollway, pictured on these pages. That overlay took place in 2018, with a deadline of Oct. 31. Lavallee explained that it was let with two separate contracts—MP 76.1 to 91.4 and MP 91.4 to 113.3. The I-88 overlay includes 2 inches of SMA surface course with Evotherm dosed at 0.4 percent of the total AC in the mix. 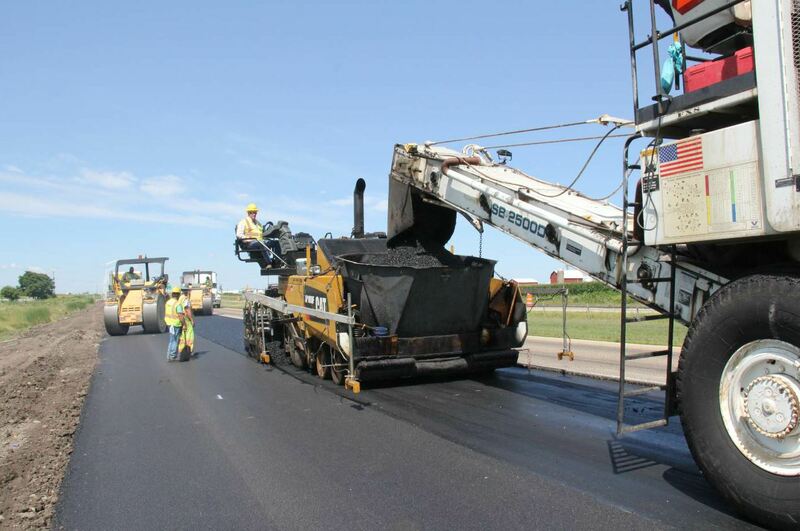 In general, the Tollway allows contractors various options to modify asphalt liquid, which include the addition of terminally blended styrene-butadiene-styrene (SBS), terminally blended ground tire rubber (GTR), plant-added dry crumb rubber and WMA additives. The Tollway uses equivalent performance for all mix designs, meaning that the DCT and Hamburg must meet certain standards, depending on mixture type, for cracking and rutting. Contractors are also given options to meet these standards when designing mixes, which ultimately leads to savings for the Tollway. The Tollway currently uses a blend of volumetric and performance tests for all WMA mixtures. The Tollway uses two main performance measures: the Hamburg and the DCT. SMA mixtures must be able to withstand 20,000 passes of the Hamburg and the rut depth must be less than 6 mm. SMA friction mixes must also exceed 700 J/m² on the DCT. The DCT is valuable because many testing agencies find it to be a repeatable cold-weather cracking test. As of 2018, the DCT is only required for SMA and a few other blends that contain more than 40 percent ABR. Beginning in 2019, the Tollway has indicated it will require all mixes to pass some level of DCT. Performance grading and ∆Tc of the AC blend (virgin and recycled components) will validate if the designer chose the correct virgin AC grade to offset the harder, more oxidized recycled AC component. He explained the ∆Tc is a new test for the Tollway this year and S.T.A.T.E. is working on developing result correlation to other tests. “There is a plan to add specification for mixes next year,” he said. At press time, his team was receiving mix data from other projects for the year to organize it by mix type.